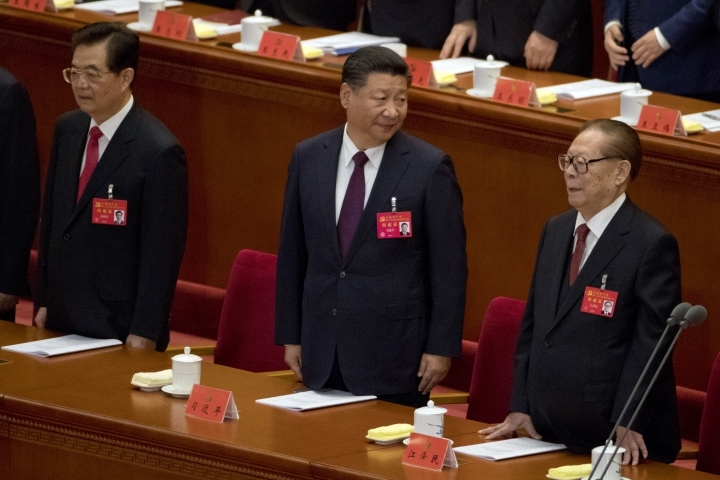 BEIJING — President Xi Jinping called Wednesday for the ruling Communist Party to lead development of Chinese technology industries, an area fraught with trade tensions and complaints that Beijing encourages theft of foreign know-how. 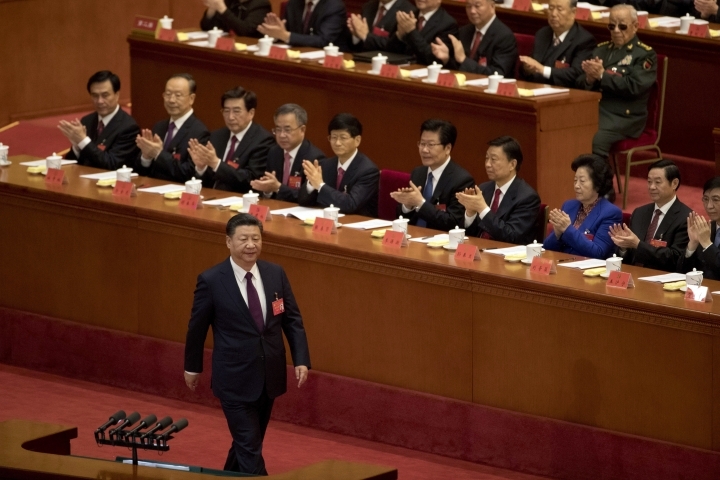 In a speech at the opening of a party congress, Xi called for making a "country of innovators" and creating competitors in aerospace, cyberspace, clean energy and other areas. Xi promised to promote cooperation among universities, government research institutes, state companies and small enterprises. Tensions with Washington and Europe over technology policy is rising as Chinese companies emerge as global competitors in cellphones, solar power and other fields amid complaints that Beijing hampers access to its own markets. Intelligence analysts say the government encourages intellectual property theft. U.S. President Donald Trump ordered an investigation in August into whether China improperly requires foreign companies to hand over technology as a condition of market access. "We will strengthen basic research in applied sciences, launch major national science and technology projects and prioritize innovation in key technologies," said Xi in a nationally televised speech. Chinese companies are spending billions of dollars a year on developing their own technology in computers, telecoms and other fields. But the country also is regarded as a global center for industrial spying and intelligence experts say the scale is growing as Beijing tries to create competitors in fields from robotics to energy to pharmaceuticals. Foreign business groups also have expressed concern about development plans they say would limit access to emerging industries by dictating in advance leading competitors will be Chinese-owned. Global companies are setting up research and development facilities in China but business groups say they are reluctant to transfer their most advanced technologies or conduct high-level research in this country for fear it will be stolen. Trump's predecessor, Barack Obama, announced an agreement with Xi in 2015 to refrain from using government spy agencies to steal intellectual property for commercial use. 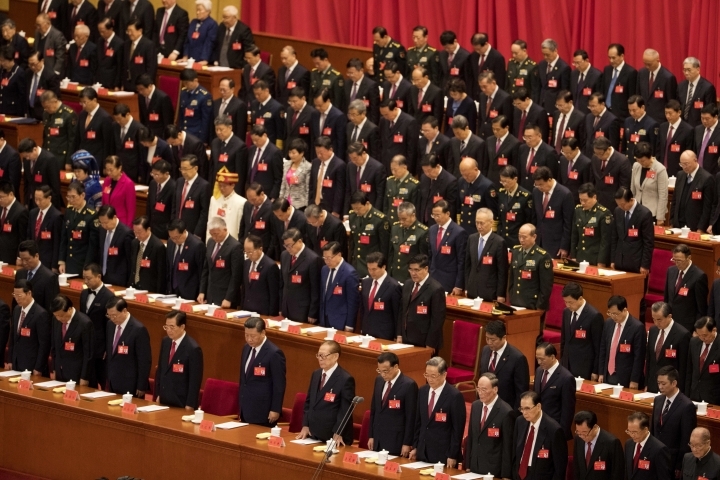 It is unclear how broadly that prohibition might apply, because intelligence experts say Beijing has since the 1970s encouraged a wide range of sources including companies, scientists and students abroad to acquire technology. Intelligence analysts say Beijing offers rewards of cash, tax breaks, research grants or university tenure. They say the government operates a network of research centers and business parks to transform stolen know-how into commercial products. Chinese companies are stepping up acquisitions of foreign technology producers. That has prompted concern that the United States and European countries might be allowing the loss of important competitive assets. A Chinese buyer's acquisition of German robotics giant Kuka prompted appeals in Europe for laws requiring a review of such technology purchases. The president of the European Union's governing body announced plans last month for an investment-review process, a step seen as a response to complaints that Chinese companies were acquiring European technology while foreign companies are barred from purchasing most assets in China. In September, Trump blocked the acquisition of a semiconductor manufacturer, Lattice Semiconductor, by a Chinese government-financed buyer on national security grounds. A White House statement cited the importance of maintaining "semiconductor supply chain integrity" and the potential transfer of technology to a foreign buyer. Foreign business groups have complained that Beijing is improperly shielding Chinese technology suppliers from competition. That includes rules that limit Chinese banks' use of foreign security technology. In May, regulators agreed to postpone enforcement of a portion of a cybersecurity law that foreign companies and governments complained would hamper market access by limiting cross-border data flows. Foreign companies also have expressed alarm about a long-range technology plan dubbed "Made in China 2025" that calls for developing Chinese competitors in electric cars and other fields. Business groups say it would exclude foreign competitors from promising industries.